Ahead of the 43rd Toronto International Film Festival, which begins Thursday, September 6th, IFTN brings you a comprehensive look at what Irish productions have been selected and who will be in attendance at the Canadian festival this year. Seven Irish titles have been selected across Special Presentations, Discovery, and Contemporary World Cinema. See productions below. Filmed on the boglands of rural Antrim, ‘The Dig’ follows Callahan (Dunford) who, after serving fifteen years in prison for murder, returns home only to find Sean (Cranitch), his victim’s father still searching for the body. The screenplay, written by Belfast native Stuart Drennan (‘Seacht’), was developed through Northern Ireland Screen’s New Talent Focus scheme with Lottery funding from the Arts Council of Northern Ireland. Brothers Ryan and Andrew Tohill directed, while Brian J. Falconer (‘Normal People’) produced through Out of Orbit. ‘The Dig’ stars Moe Dunford (‘Vikings’, ‘Rosie’), Francis Magee (‘Game of Thrones’), Emily Taaffe (‘War & Peace’) and Lorcan Cranitch (‘Fortitude’). “After winning Best Irish feature at the Galway Film Fleadh, a festival at home that we hold so dear, Ryan and I are absolutely thrilled that The Dig has been officially selected for TIFF. It's a dream for us all and we are very excited for an international audience to experience what The Dig has to offer. " Following its TIFF announcement, news broke that XYZ Films had acquired the North American sales rights to the Toronto-bound drama. Filmed on location in West Cork, ‘Float like a Butterfly’ is a powerful and timely story of a girl's fight for freedom and belonging. In a gender-reversal of classic film Billy Elliot, 15-year-old Frances (played by up-and-coming Irish actress Hazel Doupe) has to fight for the right to fight back. Raised in roadside camps in rural Ireland, Frances wants to champion her people inside the boxing ring and out, like her idol Muhammad Ali, but society is determined to break her spirit and destroy her way of life. "I am tremendously proud that Float like a Butterfly will fly the flag in Toronto. It's a film about a girl's fight for the right to be the greatest she can be, just like her hero Muhammad Ali. It was an epic battle to get it financed so it's a real triumph to have its premiere at such a prestigious festival. Let's hope it's a knock out success!" ‘Float like a Butterfly’ is produced by Martina Niland (Sing Street) for Port Films and David Collins (A Dark Song) for Samson Films. Directed by Academy Award-winning Irish director Neil Jordan (The Crying Game) and comprising an impressive Irish and international cast including Stephen Rea (The Crying Game), Isabelle Huppert (Elle) and Chloé Grace Moretz (Carrie) , Greta is a contemporary psychological thriller. After discovering a handbag on a New York subway train, Frances McCullen (Moretz), a young woman bereaved by her mother's death, sets about returning it to its rightful owner. Frances subsequently strikes up an unusual friendship with enigmatic widow Greta Hideg, however Greta's motives may be more sinister than they initially seem. Stephen Rea, a frequent collaborator of Jordan’s, features as a private detective in the film, which sees the streets of Dublin double-up as New York. "There was something intriguing about the original screenplay when I read it because it was almost entirely amongst three women. It's a story about possession: an almost romantic obsession that refuses to let go. The fact that the obsessional elements of the story are motivated by a woman appealed to me and that no males played a significant part in the story was intriguing." Greta is produced by James Flynn (‘Calvary’) for Metropolitan Films alongside Lawrence Bender, Sidney Kimmel and John Penotti, with Academy Award®-nominated Seamus McGarvey (Nocturnal Animals) serving as DOP, forming part of an Irish-led team which includes multiple Emmy Award-winning costume designer Joan Bergin, production designer Anna Rackard and editor Nick Emerson. ‘Papi Chulo’ marks Director John Butler’s third time receiving a world premiere at TIFF following the critically acclaimed ‘The Stag’ (2013) and ‘Handsome Devil’ (2016). Cast adrift in Los Angeles, Sean, a lonely TV weatherman drives past a middle-aged Latino migrant worker standing outside Home Depot looking for work. He decides to hire this kind-looking man to be his friend. Sean is young, gay and white; Ernesto, portly, straight and married. Despite having nothing in common, they build a sort of a friendship based on sign language, until Sean becomes consumed by a deep and obsessional attraction. ‘Papi Chulo’ is produced by Rebecca O’Flanagan and Robert Walpole of Treasure Entertainment, and stars Matt Bomer and Alejandro Patino. The title is supported by Screen Ireland. ‘Vita & Virginia’ marks the sophomore feature from up-and coming British director Chanya Button and is produced by Irish producer Katie Holly for Blinder Films alongside Evangelo Kioussis. An Irish/UK creative co-production, the film tells the true story of the relationship between the literary icon Virginia (Elizabeth Debicki) and socialite Vita (Gemma Arterton) in 1920’s London. When their paths cross, the magnetic Vita decides the beguiling, stubborn and gifted Virginia will be her next conquest, no matter the cost. Vita and Virginia forge an unconventional affair and neither will be the same without the other. Why is screening at TIFF so important to you? ‘Black 47’ is set during the Great Irish Famine and stars Hugo Weaving (‘Hacksaw Ridge’, The Lord of the Rings, The Matrix), Jim Broadbent (Oscar® winner for ‘Iris’) and the prolific Irish screen and stage actor Stephen Rea (‘The Crying Game’, ‘Michael Collins’). Joining them are rising international actors James Frecheville (‘Animal Kingdom’, ‘The Drop’) and Freddie Fox (‘King Arthur: Legend of the Sword’) along with a strong young Irish cast including Barry Keoghan (‘Dunkirk’, ‘The Killing of a Sacred Deer’), Moe Dunford (‘Michael Inside’, ‘Patrick’s Day’) and Sarah Greene (‘Noble’, ‘Penny Dreadful’). Following its world premiere at the Berlin Film Festival in February, the film opened both the Audi Dublin International Film Festival and Belfast Film Festival and was the closing film of the Galway Film Fleadh earlier this summer. The famine thriller is set to have its North American premiere at the Toronto International Film Festival alongside Steve McQueen’s ‘Widows’, Damien Chazelle’s Neil Armstrong movie, ‘First Man’ and Bradley Cooper’s directorial debut ‘A Star is Born’. Following the news that ‘Black 47’ would make its North American Premiere at TIFF in September, U.S. distributors IFC Films signed a deal to roll out the famine thriller in the U.S. with a release date scheduled for September 28th. ‘Black 47’ is set to be released in Ireland, the UK and America in September with the film opening in over 100 Irish cinemas on September 5th marking the widest release ever for an Irish film in Ireland. ‘Rosie’ is centred on a young family that loses their home in Dublin during the Irish housing crisis. Former IFTA winners Sarah Greene (‘Penny Dreadful’ and ‘Burnt’) and Moe Dunford (‘Vikings’ and ‘Patrick’s Day’) star in the film, which was written by Bafta nominee Roddy Doyle (‘The Commitments’ and ‘The Snapper’). ‘Rosie’ is produced by Emma Norton, Rory Gilmartin and Juliette Bonass. Roddy Doyle serves as Executive Producer alongside Ed Guiney and Andrew Lowe for Element Pictures, who previously brought us ‘The Lobster’ and ‘Room’. Dearbhla Regan is executive producer for Screen Ireland. Screen Ireland’s James Hickey, Teresa McGrane, Celine Haddad, Dearbhla Regan, and Emma Scott will attend the festival. Screen Ireland told IFTN that there are currently no plans for a Screen Ireland event at the Canadian Festival this year. 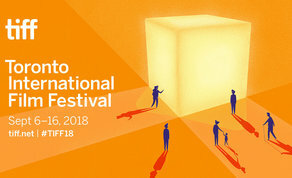 The 43rd Toronto International Film Festival runs from Thursday, September 6th – Sunday, September 16th.